It’s a new month and Slotland Casino is making sure that you’re fit and ready for December 2018. 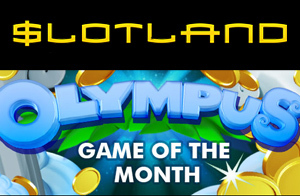 Climb to the highest peaks with the new Game of the Month at Slotland, Olympus. You are invited to play this fantastic slot title throughout the month of December and enjoy non-stop rewards. Up for grabs are 50% deposit bonuses and a chance to win over R4,000 in Slotland’s Cash Draw. Since December has just rolled in, it’s good to know that you have an entire month of Olympus slot fun ahead of you. The promotion will end on December 31st. Up until then, get ready to claim a 50% match bonus up to 3 x a day! Remember that, like any other bonus at Slotland Casino and other online casinos, the bonus carries a wagering requirement – in this case 20% - before which you can’t cash out your winnings. But there’s more: Olympus is a fantastic game to play, which means that you won’t have any trouble fulfilling the requirements of this next deal. 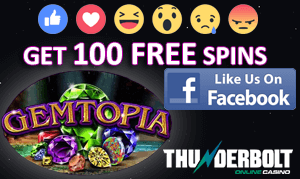 For every 100 spins on the Game of the Month, you will earn one ticket into the random Cash Draw. A total prize pool worth thousands of Rands is up for grabs in this draw. • If you come first in the Cash Draw, you win a cool R4,000. • Second and third spots award you with R2,000 each. • Fourth and fifth spots award you with R1,400 each. This is also a good time to remind you that Slotland will pulling all the festive season stops with its new Thursday promotion this month. The Festive Thursday offer allows you to earn extra cash on all your deposits on Thursdays, and the amount you receive will depend on your VIP level at the site. In all cases, players should use the bonus code FESTIVE before redeeming the bonuses. SUBSCRIBERS We'll ensure you never miss another great bonus! Copyright © 2019 OnlineCasinosOnline.co.za. All Rights Reserved.